The Art Projects Foundation archive forms the core of the collection run by Garage Research. 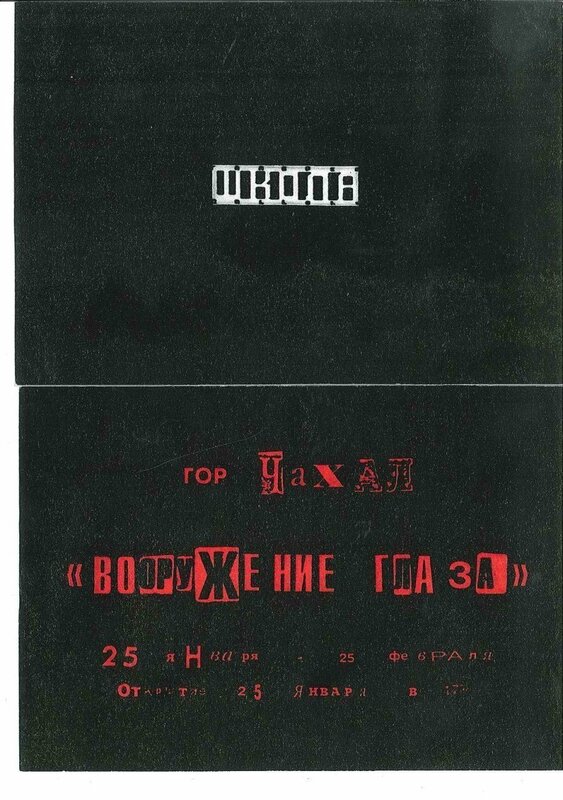 It includes physical and digital archive materials from a number of Moscow galleries—XL Gallery, Aidan Gallery, Shkola Gallery, L Gallery, Paperworks, TV Gallery, and pop/off/art—and the archive of collector Leonid Talochkin, the chronicler of unofficial Soviet art of the postwar period. Two extensive photographic archives—from the artists Vlad Chizenkov and George Kiesewalter—also form part of the collection, as do documents related to Garage exhibitions and education projects from 2008 onward. In 2017 Garage launched the Russian Art Archive Network (RAAN). It is an online catalogue of documents on the history of Russian contemporary art from the collections of Garage and partner institutions. The goal of the Russian Art Archive Network project is to create an international online platform to promote and facilitate research into postwar Russian contemporary art. The project’s website features an online catalogue allowing users to search the archive collections of all RAAN partners, with new materials added as digitization continues. The first documents, uploaded in December 2017, come from several archive collections at Garage. 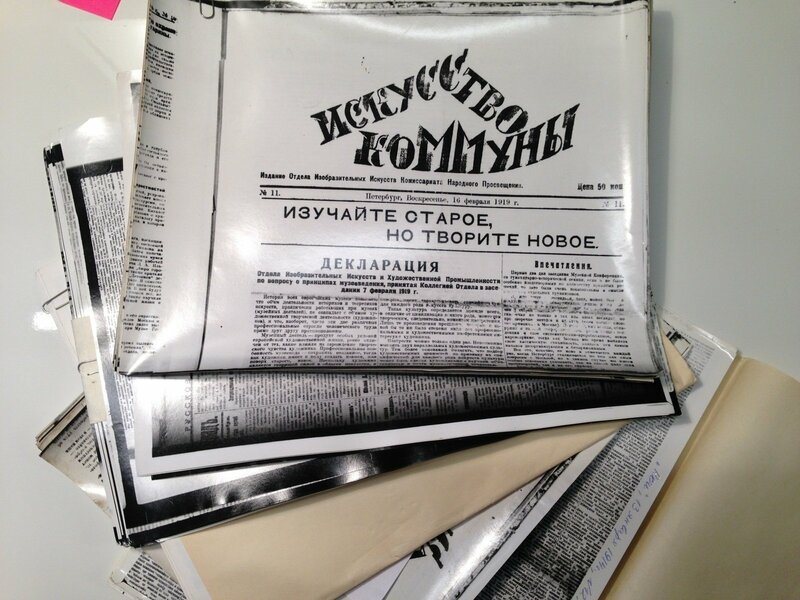 These include invitations to exhibitions, press releases, and posters from the archive of Art Projects Foundation, posters from the collections of Leonid Talochkin and Nina Zaretskaya (TV Gallery). The website has Russian and English versions. 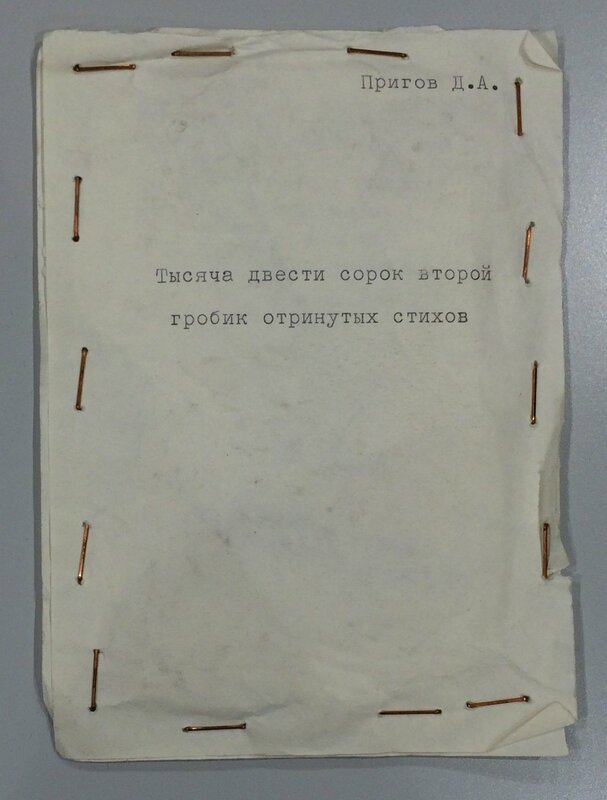 Most of the archive's catalogue is in Russian, with the exception of entries for archival documents and press cuttings in foreign languages, and information on exhibitions that took place outside Russia/the Soviet Union. An international online platform, initiated by Garage, bringing together archives on Russian art from the postwar period to the present. 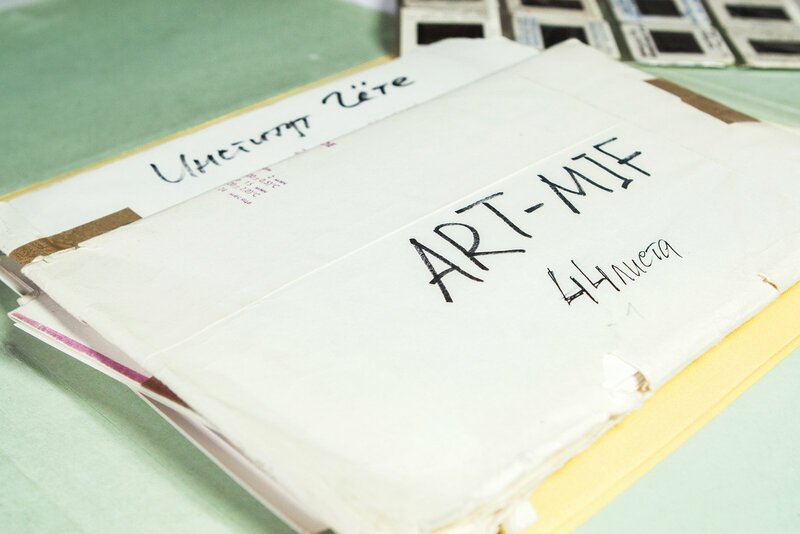 In 2018 Garage acquired one third of the archive left behind by the renowned Russian artist Vladislav Mamyshev-Monroe (1969–2013). The other two parts belong to Moscow Museum of Modern Art and the Vladislav Mamyshev-Monroe Foundation. Garage Archive holdings include texts written by the artist, his letters, possessions, books, and a compilation of publications on the artist. 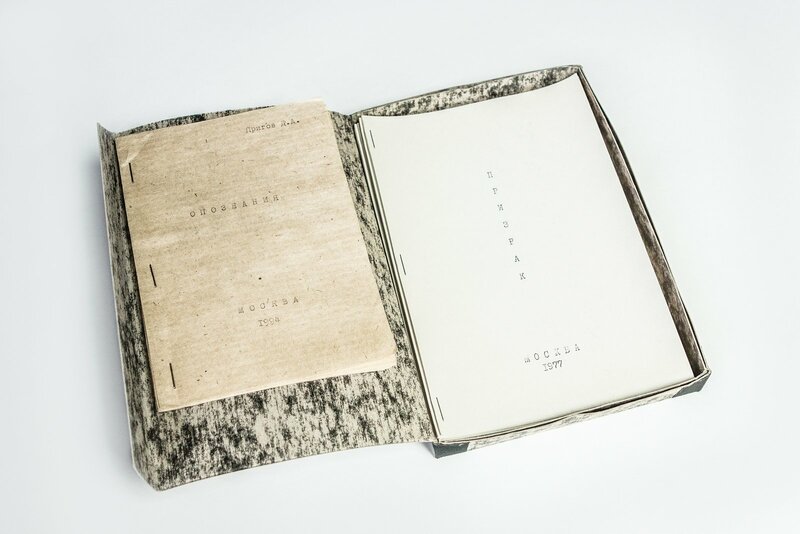 Amongst the materials are the self-published magazines Kh.V.Z (Khochu Vse Znat’, 1997) and M.V.U. 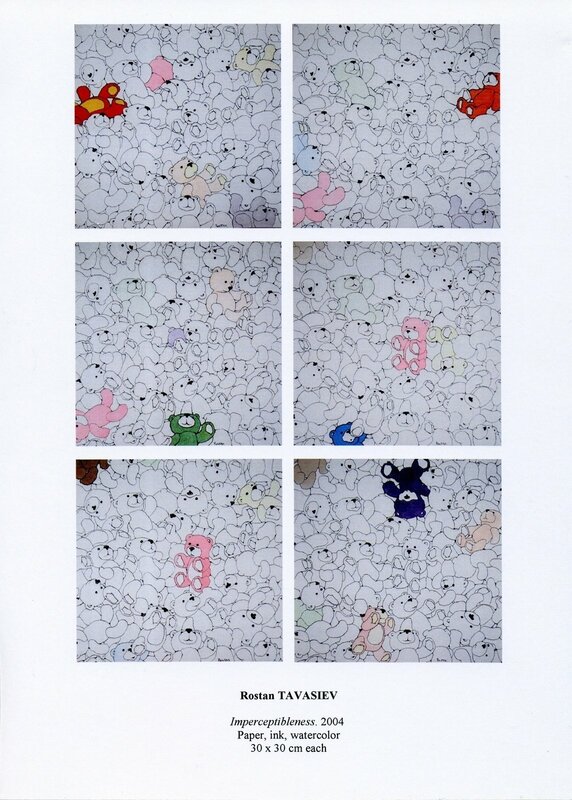 (1994), texts written for Monroe’s first solo show Flora and Fauna. Painting & Petting (with Bella Matveeva), full “profiles” of the characters impersonated by the artist, manuscripts and drafts for works of literature, preparatory sketches for installations, parts of stage costumes, and works by other artists given to him as gifts. 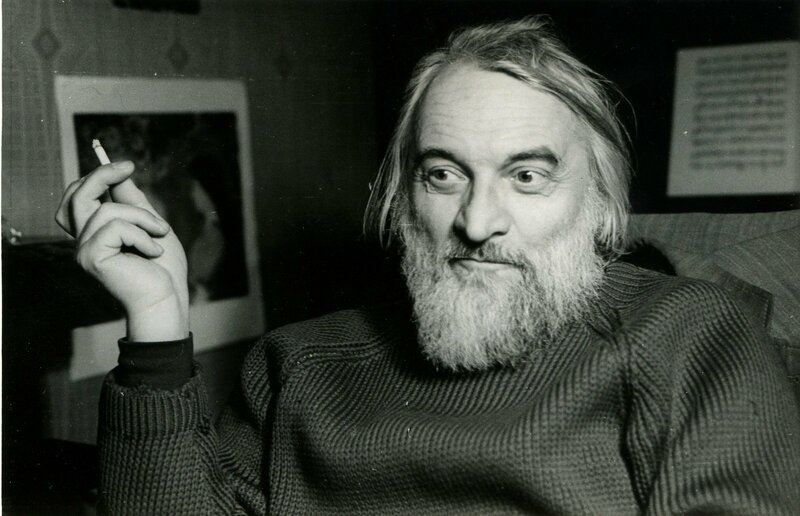 The Vladislav Mamyshev-Monroe archive comprises biographical material that allows researchers to trace the career of the artist and study possible sources of his individual mythmaking. Vladislav Mamyshev-Monroe (1969–2013) was a Russian artist and writer active in the 1990s and 2000s. His work includes dozens of photographic series and impersonations of famous historical and cultural figures. In 1990, together with Yuri Lesnik, Timur Novikov and Georgy Guryanov. he founded Pirate TV. Together with Sergei Bugaev (Afrika), Olesya Turkina, and Viktor Mazin he published the journal Kabinet. In 2004, Monroe was the presenter of “Rozovy blo” (Pink Section) on Artemy Troitsky’s TV show Priznaky zhizny (Signs of Life). He was awarded the Innovation Prize in 2014 and the Kandinsky Prize in 2007. 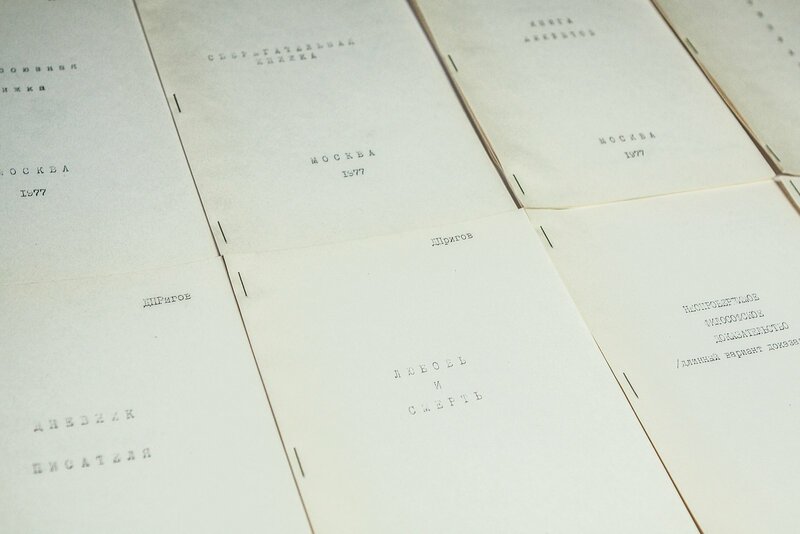 In 2018, Garage acquired the archive of curator and art historian Andrei Erofeev. Andrei Erofeev belongs to a generation of art historians who were the first in the country to take up the new profession of contemporary art curator. He was involved in building emerging institutions and became the first museum curator to define the concept and initial collection for a future museum of contemporary Russian art. He was the founder and director of the first museum institution in the Soviet Union that worked with contemporary art of the time, the “experimental department of the newest trends” at the State Museum of Decorative and Applied Arts (now Tsaritsyno Museum-Reserve), which would form the basis of the Contemporary Art Department at the State Tretyakov Gallery. As an art historian he collected a large volume of photographic and video materials, documenting various generations of artists, from the nonconformists of the 1960s to the actionists of the 2010s. As a curator and museum worker, having been in constant communication with numerous institutions, cultural leaders, and journalists, he amassed publications and documents concerning the everyday life of museums and the Miniustry of Culture. Erofeev’s archive documents a large number of events and covers a long period in history. 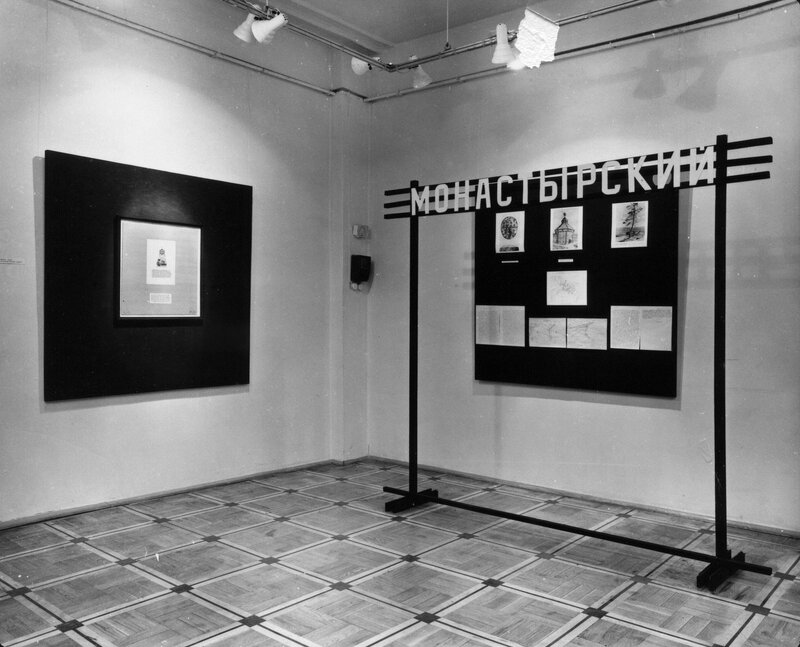 The exhibitions covered were not only curated by him (he curated more than 50 shows), but also include those organized by other representatives of the Moscow art scene. 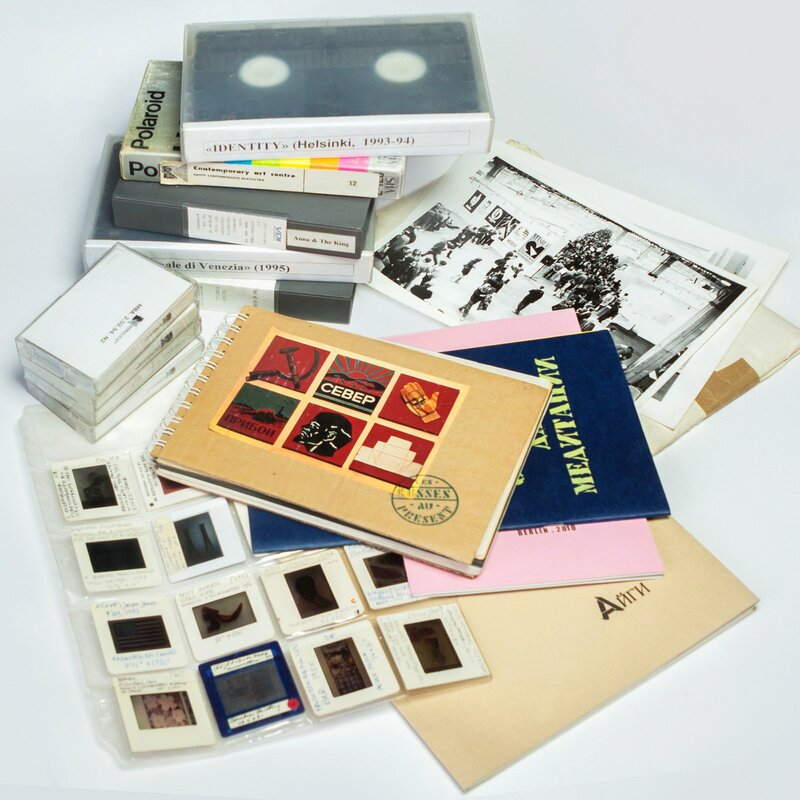 A large part of materials in the archive is stored on analogue carriers: they comprise physical documentation relating to curatorial and institutional practice, such as contracts, donation agreements, exhibition plans, and negatives and prints capturing events and exhibitions, which are rarely available through open sources. A special section of the archive is devoted to one of the first lawsuits against contemporary art, which involved Erofeev as the curator of the scandalous exhibition Forbidden Art (2006). His work as a critic is documented in the section of the archive that includes his articles, catalogue introductions, press commentaries, and numerous video-recorded interviews and conversations with artists. Andrei Erofeev (b. 1956, Paris) is an art historian and curator. He studied history at Moscow State University. 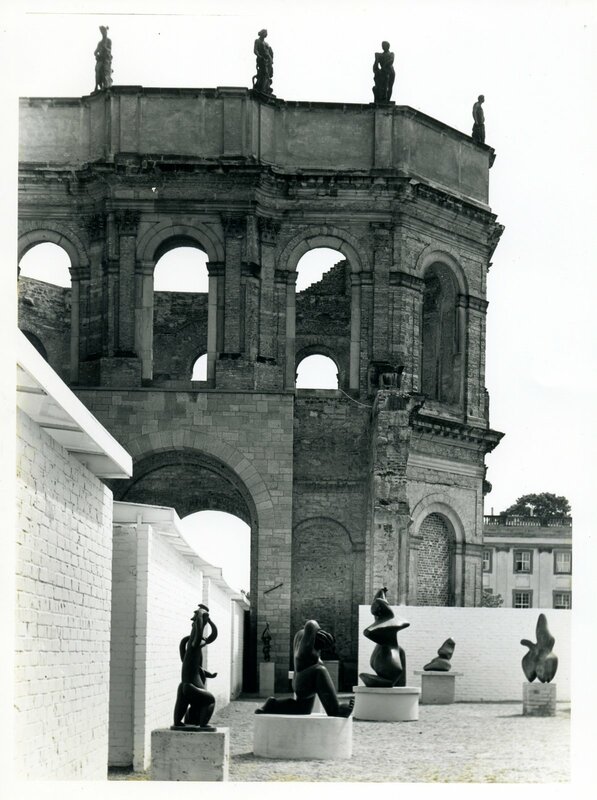 In 1989, he joined the Museum of Decorative and Applied Arts (now Tsaritsyno Museum-Reserve), where he was actively involved in building the first state collection of contemporary (postwar) art with a special focus on nonconformist and avant-garde artists. From 2001 to 2008, he was a head of the Contemporary Art Department at the State Tretyakov Gallery, to which the collection he had gathered at Tsaritsyno Museum-Reserve had been transferred. Since 2008, he has worked as an independent curator, critic, and contemporary art expert. He is the author of numerous articles on contemporary art. He was a member of the jury of the Innovation and Kandinsky prizes. As an expert advisor he was involved in building several private collections, including those of Shalva Breus, Igor Tsukanov, and Vladimir Antonichuk. Since 2017, he is a co-chair at the International Association of Art Critics (AICA). He is a recipient of the French Order of Arts and Letters. 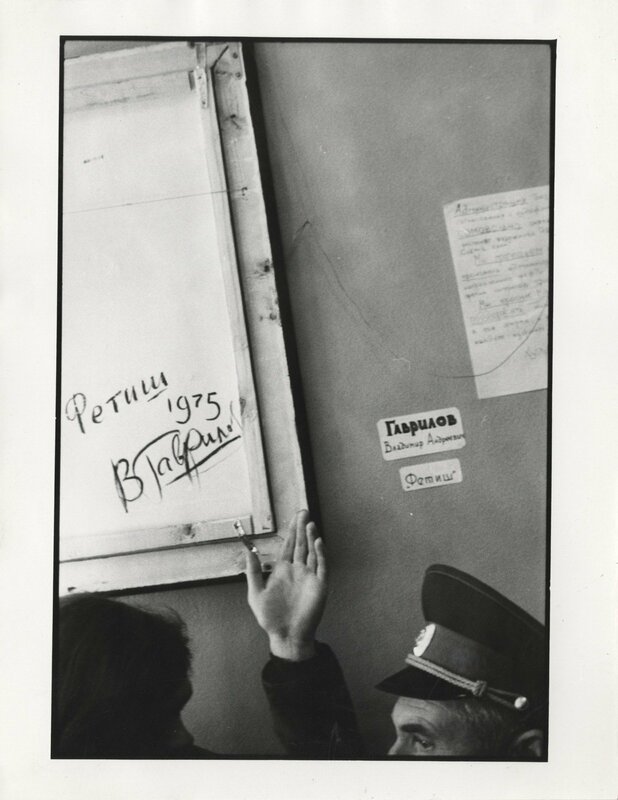 Leonid Talochkin began to assemble his archive in the early 1960s. 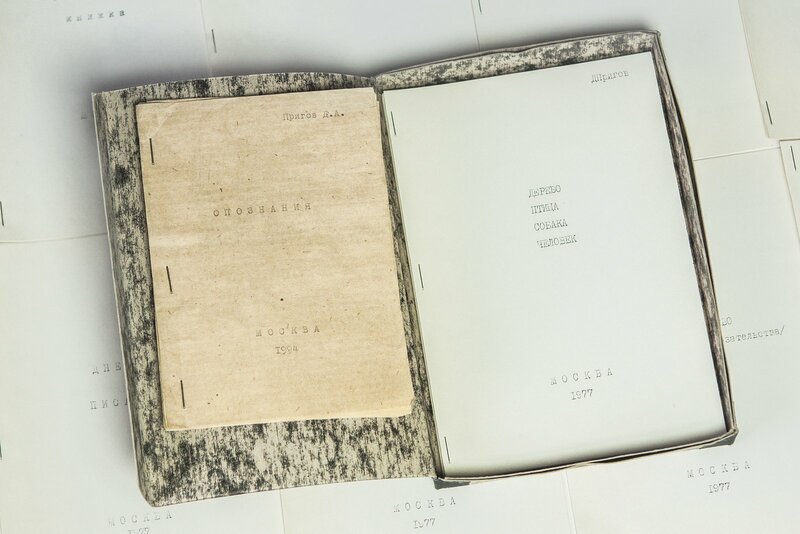 It contains several thousand documents including his personal notebooks and diaries with detailed accounts of contemporary art events in Moscow, and writings by underground authors and poets. It also contains correspondence with many artists (including some who had left the country), as well as collectors, international specialists in Slavic cultures, and representatives of Russian and foreign art institutions. Talochkin also collected hundreds of photographs from the 1960s-1990s, exhibition invitations (including some rare handwritten ones), postcards, slides, and photographs of works that are now in museums and private collections in Russia and abroad. The archive also includes a collection of catalogues and books that are now available at Garage Library. Portraits of Leonid Prokhorovich Talochkin. 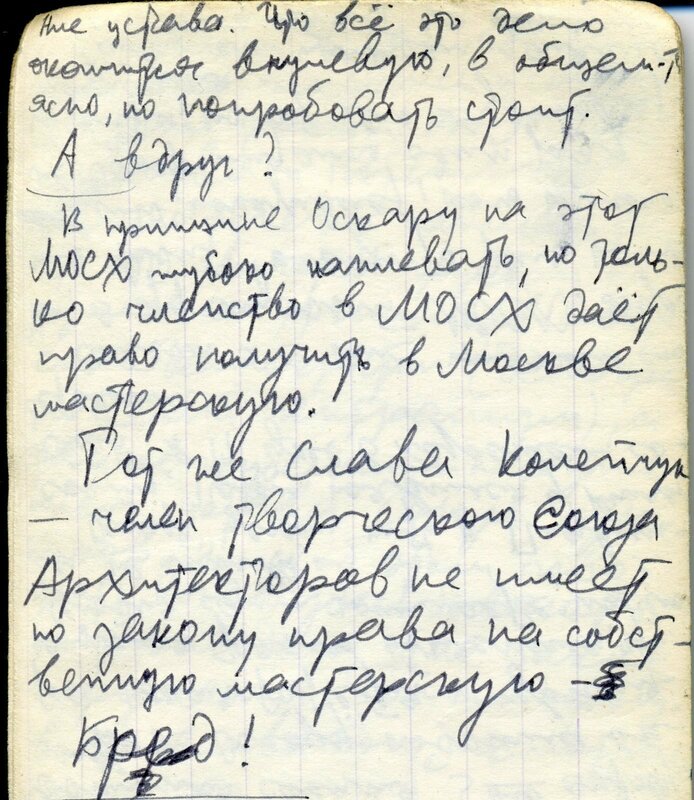 Entry from L. P. Talochkin’s diary. 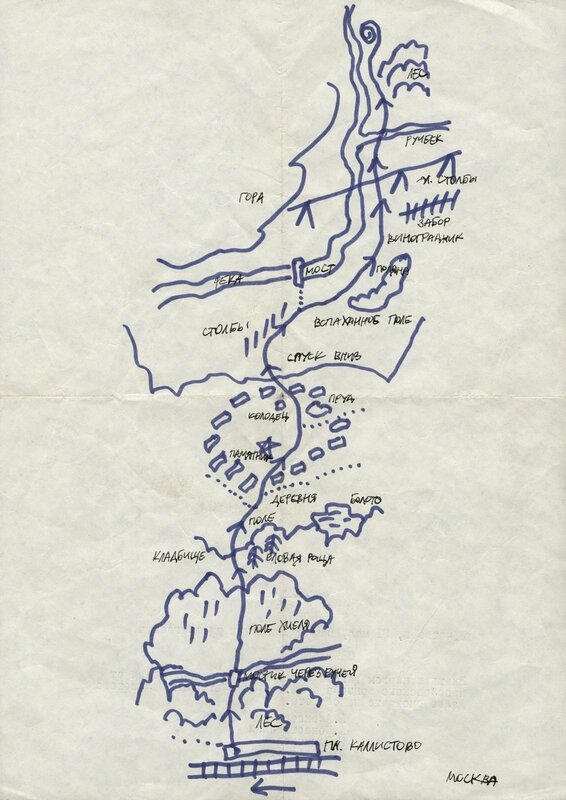 September 22, 1971. 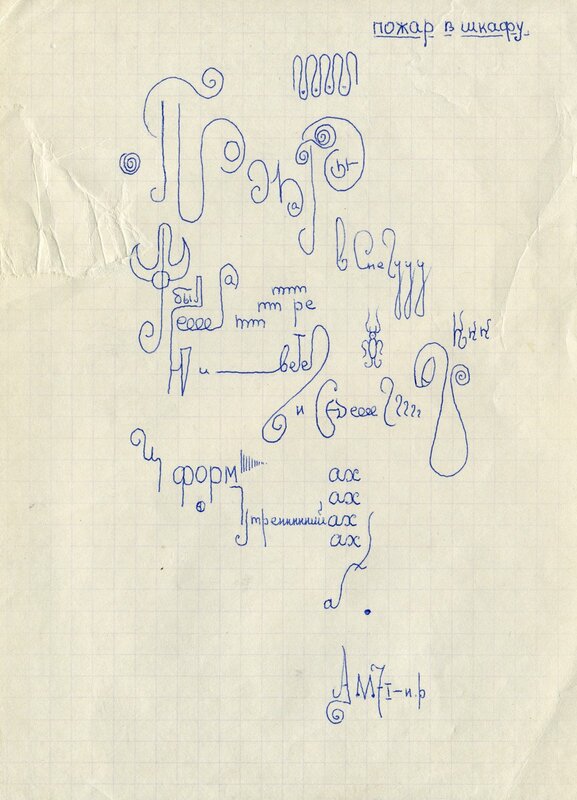 On artists O. Rabin and V. Koleichuk. Art Projects Foundation came into existence in 2001, partly as a replacement for the Soros Center for Contemporary Art, which was active between 1994 and 2000. 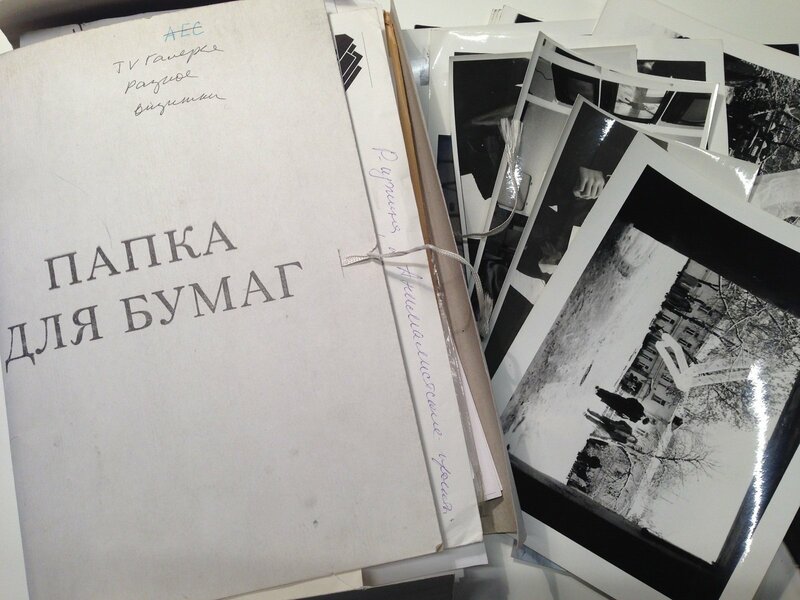 Its archive was transferred to the Foundation with the help of a grant from the Open Society Institute. 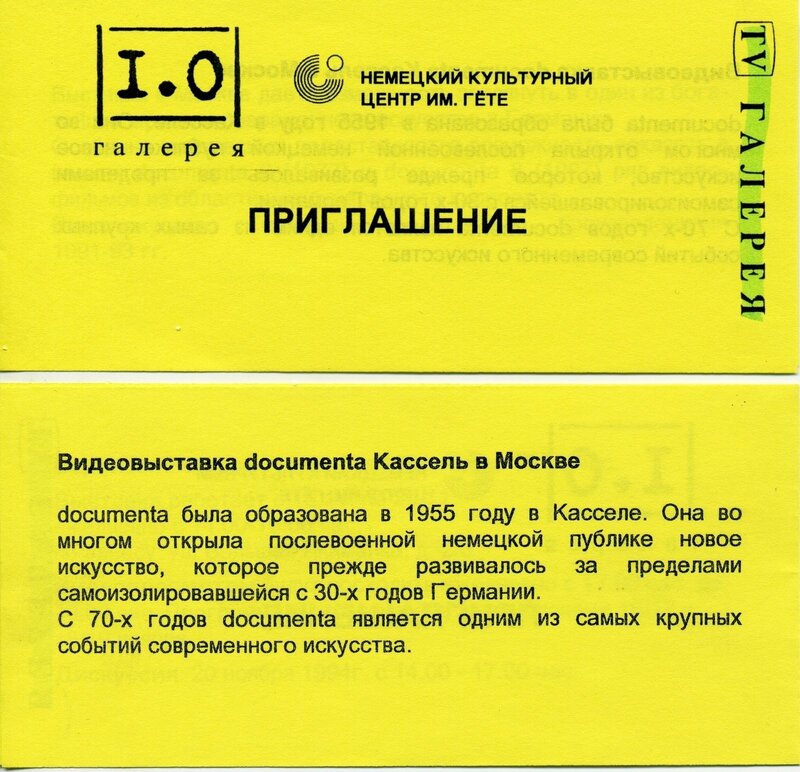 In the 11 years it was managed by the Foundation, the archive saw the addition of new documents and publications donated by Moscow artists and art historians, and new material gathered by the staff. 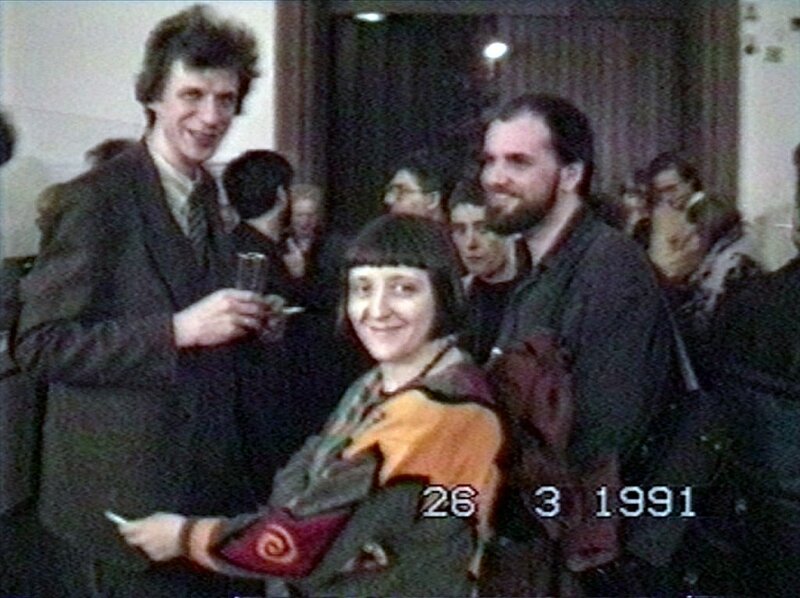 One of the main contributors to the archive was Yulia Ovchinnikova, an art historian and filmmaker who started documenting the Moscow art scene in 1994. 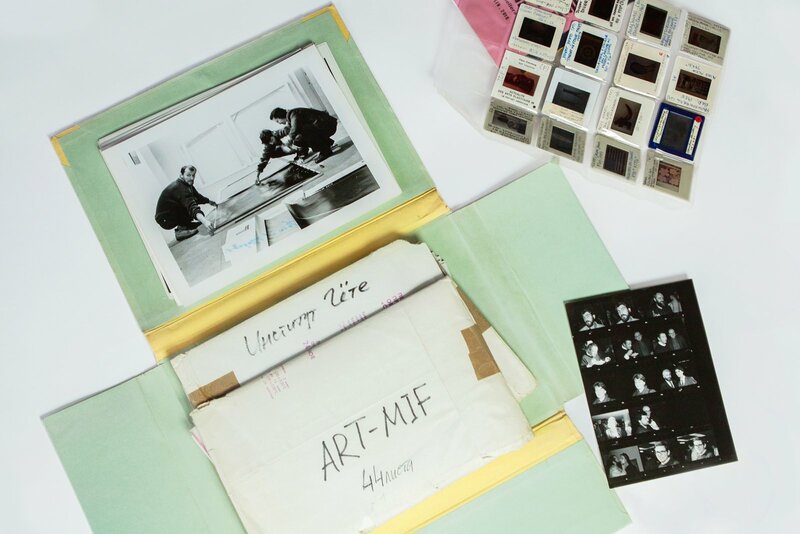 The archive contains documentary materials relating to contemporary art in Moscow, Saint Petersburg, and other cities within Russia dating back to the late 1950s. Materials include documentary photographs and videos, articles published by newspapers and magazines, unpublished essays by artists and critics, exhibition posters, invitations and press releases. Video documentation from the archive allows us to trace the careers of particular artists and identify the general currents of the Moscow art scene. 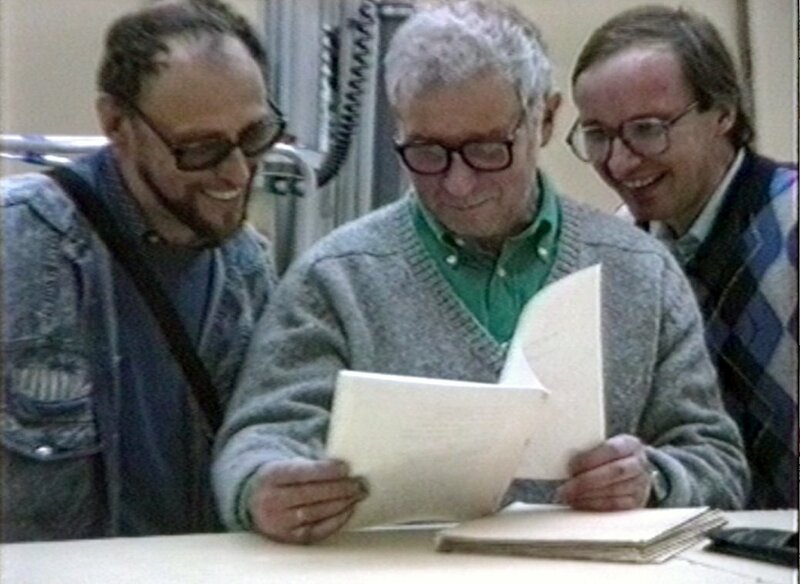 Footage from the archive has already enabled the production of a range of films including the seven-part Chronicles of Moscow Contemporary Art, and has been used in the making of many other documentaries and films about exhibitions in Moscow and abroad, as well as in educational events. TV Gallery Art Media Center was founded by Nina Zeratskaya and filmmaker Sergey Savushkin in 1991, originally as an independent studio. 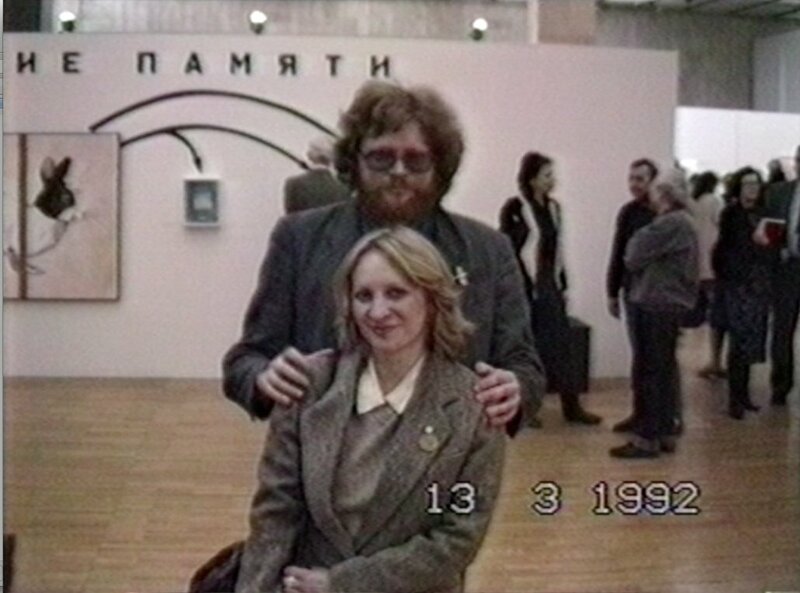 In July 1992, Zaretskaya and Savushkin announced the opening of the studio’s own space at the Center for Contemporary Art. Although its main mission was to ‘develop and produce non-commercial TV and video projects,’ TV Gallery was also the first venue in Moscow to screen video art from the USA, Germany, Japan and the UK. It was also a place where young Russian artists experimenting with new media could turn to for technical support. Artists including Alexander Brener, Kirill Preobrazhenskiy, Gia Rigvava, Sekta Absolyutnoi Lyubvi Group had their first shows in TV Gallery. The gallery also showed the work of students from the Gerasimov Institute of Cinematography and young artists from Emergency Exit Group based in Tsarskoye Selo. 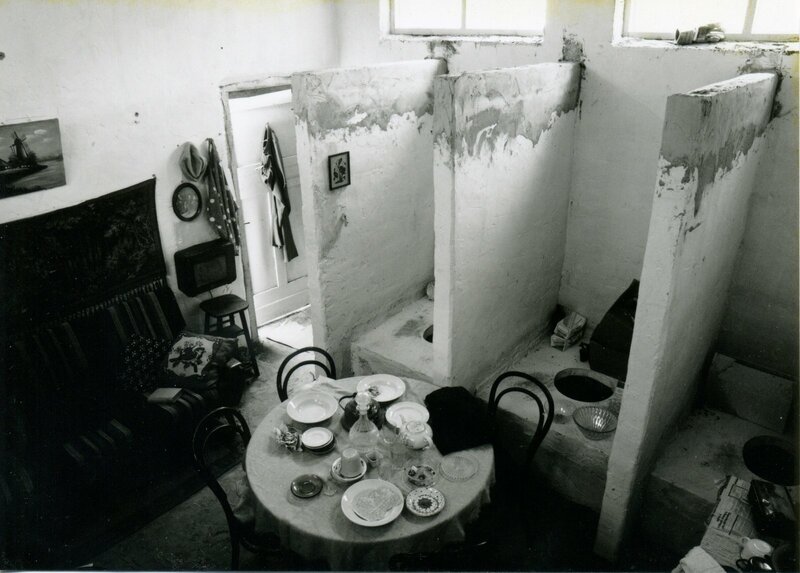 One of TV-Gallery’s key functions was documenting Moscow’s artistic life. TV Gallery’s archive contains both documents and video material. 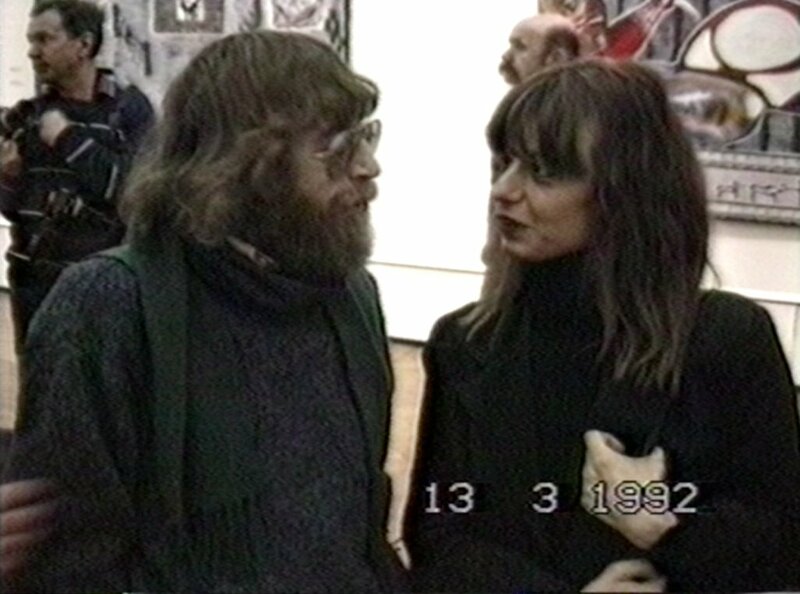 The video archive contains video documentation of Moscow’s contemporary art scene in the 1990s. 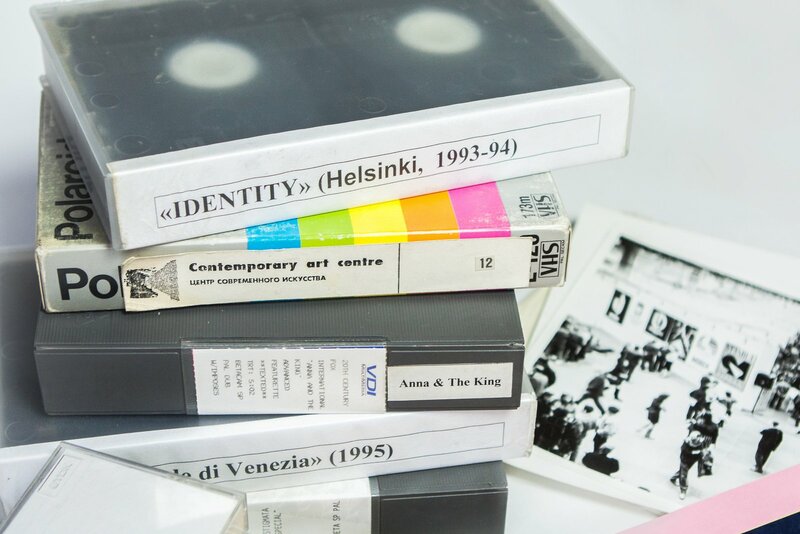 This includes videos featuring Russian and international artists (including detailed interviews recorded in the 1990’s and 2000s), and original materials used in the creation video installations by the artists who collaborated with the gallery, including: AES, Vadim Zakharov, Vladislav Efimov, Vladimir Salnikov, Leonid Tishkov, Alexander Brener. The archive also contains documentary footage of video installations on show in the gallery. The paper archive includes portfolios of the artists who worked with TV Gallery and various materials related to its projects. Photo of Hans Arp’s sculptures at Documenta II in Kassel. Press copy. The original photo is in the Documenta archive. Reverse of the photo with a label. XL Gallery opened in December 1993 in a single-room flat in Ulansky lane. The gallery was founded by the art historian Elena Selina and the philosopher Sergei Khripun, who ran Album publishers. According to Elena Selina, XL was a ‘quick response gallery,’ who worked with ‘artists who would not necessarily make it to museums.’ While it played an active role in establishing the Russian art market, XL also made significant intellectual contributions to art practice. The gallery has repeatedly staged large group shows in external venues. In the 20 years since it opened, XL Gallery has moved several times and has been based at Winzavod since 2007. 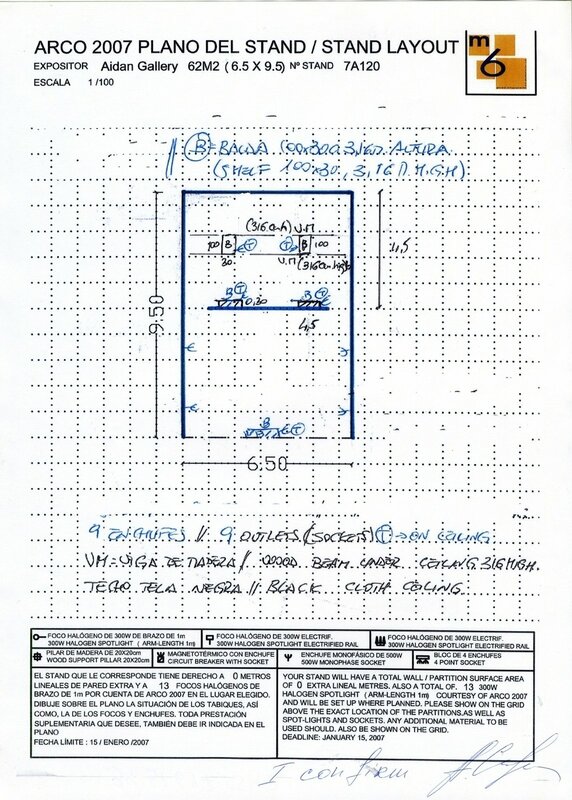 XL Gallery’s archive contains documents for the gallery’s early projects (1993-2002). This includes texts by artists and curators, exhibition invitations, photographic documentation and reviews. Materials relating to the gallery’s external projects and artist portfolios are filed separately. These contain essays, articles, interviews, and photographs. The long list of artists who have worked with XL Gallery includes Nikita Alexeev, Alexey Belyaev-Gintovt, Alexander Brener, Lyudmila Gorlova, Oleg Kulik, Georgy Litichevsky, Igor Makarevich, Evgeniy Mitta, Boris Mikhailov, Igor Mukhin, the Mitki and Fenso groups, Andrei Monastyrsky, Irina Nakhova, Timur Novikov, Anatoly Osmolovsky, Viktor Pivovarov, Dmitri Prigov, Aidan Salakhova, Vadim Fishkin, Olga Chernysheva, Ivan Chuikov, and Alexei Shulgin. 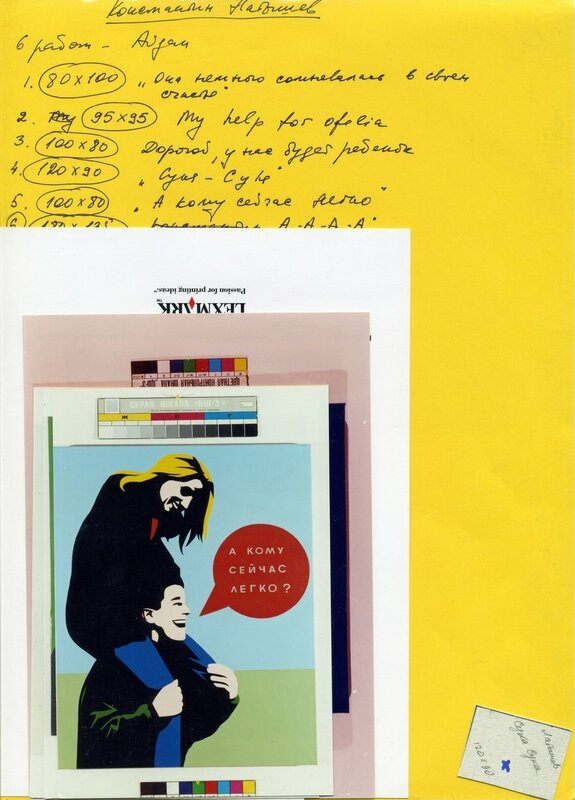 File with a list and images of Konstantin Latyshev’s works from the archive of Aktual’naya russkaya zhivopis’ [Contemporary Russian Painting]. 1992/2002 at Novy Manezh celebrating the 10th anniversary of the opening of Moscow Interbank Currency Exchange. XL Gallery archive. Special edition of XL Gallery issue Kulik daily. 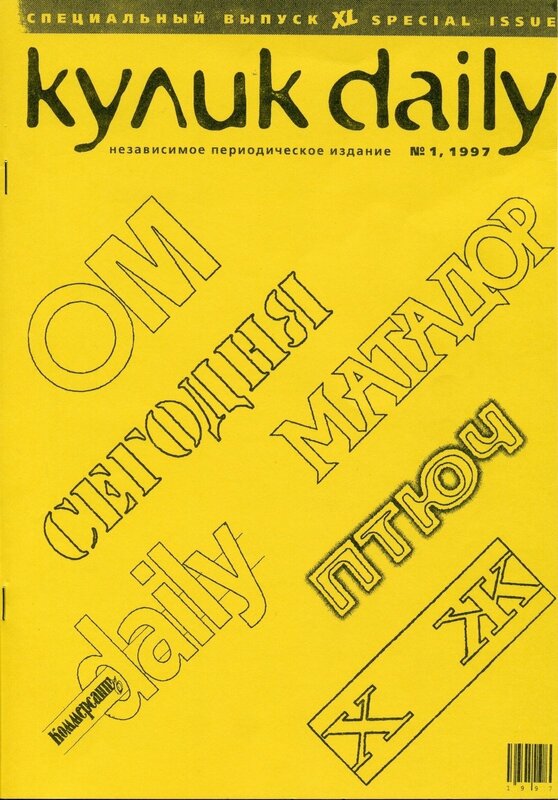 Independent periodical, №1, 1997. Topography, detail of exhibition, L gallery, 1991-1992. 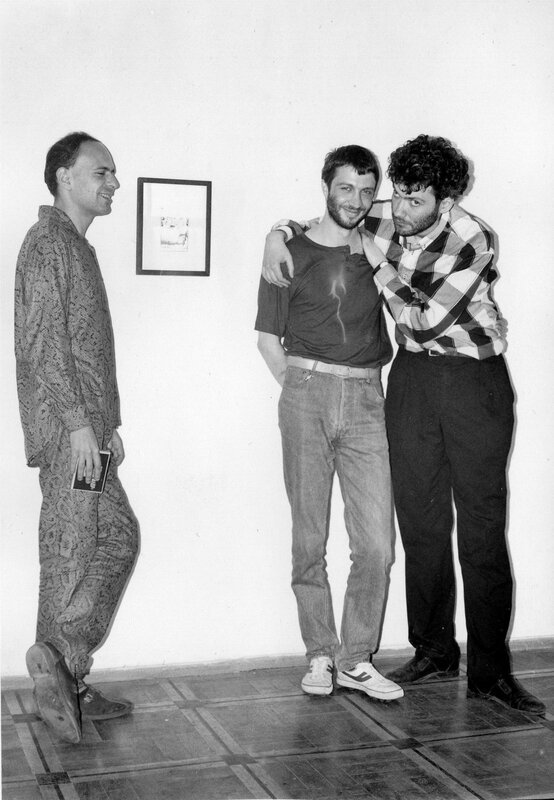 Sergei Anufriev, Vladimir Fyodorov and Pavel Pepperstein at Pustyye ikony [Empty Icons], 1993. After changing its location twice in the 2000s, the gallery eventually settled at Winzavod Center for Contemporary Art. Aidan Gallery closed in Spring 2012, and Aidan Salakhova donated its archive to Garage in the autumn of that year. Page from Rostan Tavasiev’s portfolio, Aidan Gallery archive. Stanislav Shuripa’s portfolio. Slides with his works. Schkola was founded by Irina Meglinskaya (Piganova) in 1991. 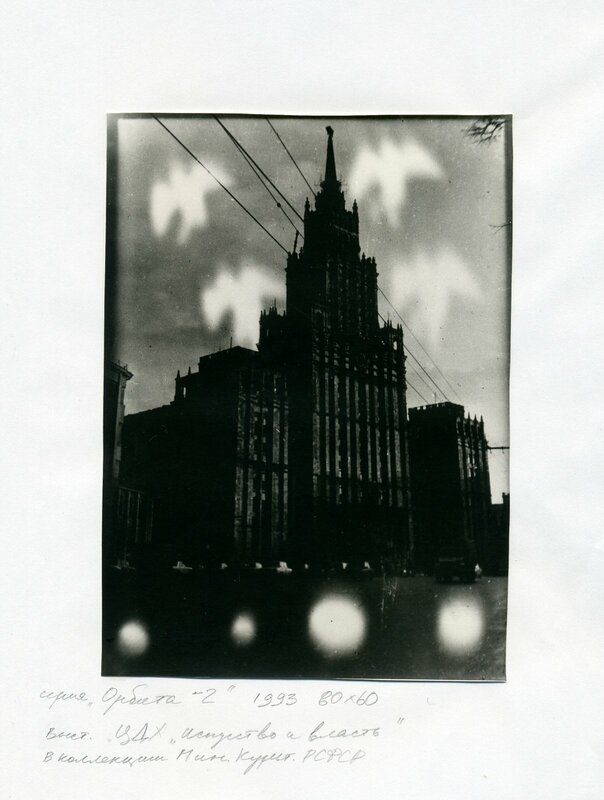 Located at the Contemporary Art Center at Yakimanka, it was the first Russian gallery of contemporary photography. Later, the gallery began to work with many artists who produced cutting-edge photography with the help of the new technologies. 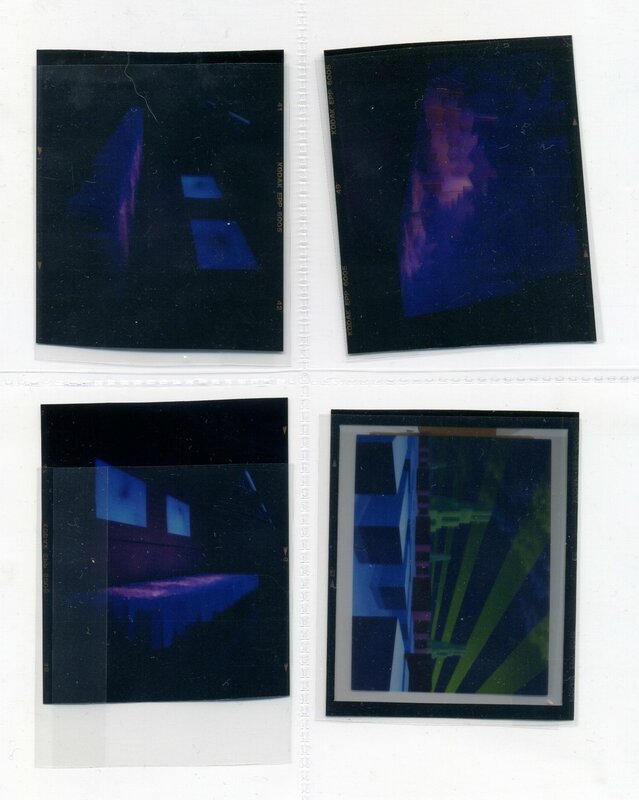 Alongside traditional photographs, Schkola exhibited photo-objects, photo and video installations, computer-generated art, light art and a range of other combinations. The first Schkola exhibition was an homage to Dziga Vertov and Alexander Rodchenko, but after this show the gallery focused on contemporary artists including Maria Serebryakova, Vladislav Efimov, Ilya Piganov and Alexei Shulgin. 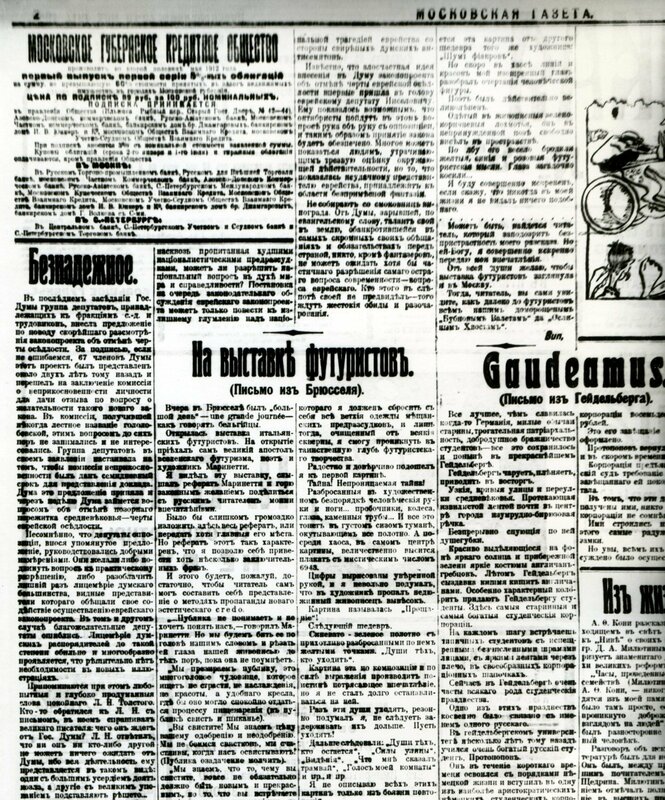 Kommersant newspaper included Schkola into its top-five Russian galleries of 1995. The archive contains portfolios of artists who worked with the gallery during the 1980s and early 1990s, including Arina Grantseva, Vladislav Efimov, Vladimir Kupriyanov, Yuri Leiderman, Alexander Roitburd, Maria Serebryakova, Vadim Fishkin, Alexei Shulgin, and FENSO group. 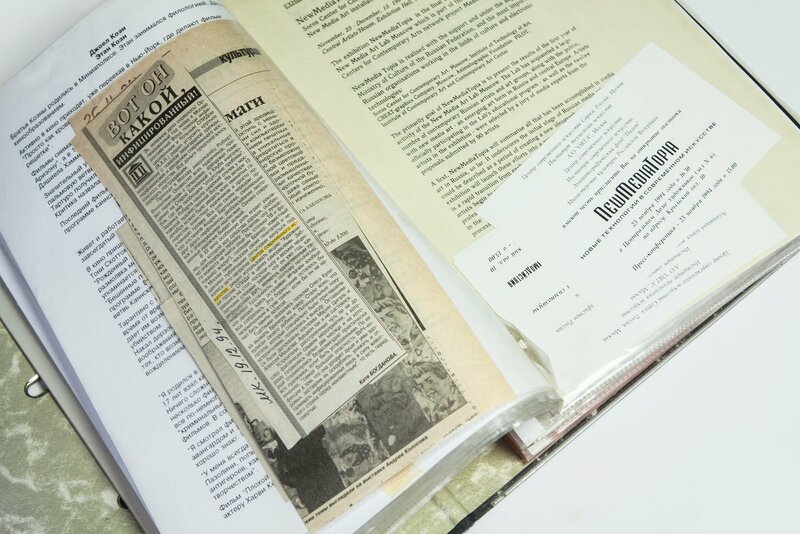 The archive also contains documentation of the gallery’s exhibition projects in other venues, and press reviews. Press Release. School Gallery archive. Copy of Vadim Fishkin’s photo. 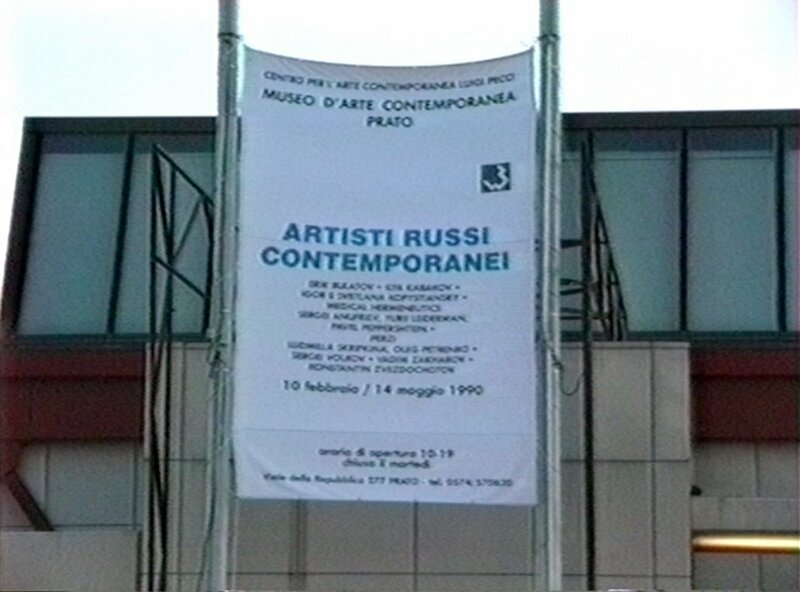 Orbit 2 series, 1993, exhibited at Iskusstvo I Vlast [Art and Power] in the Central House of Artists. Original photo is in the collection of the Russian Ministry of Culture. From the artist’s portfolio in the School Gallery archive. 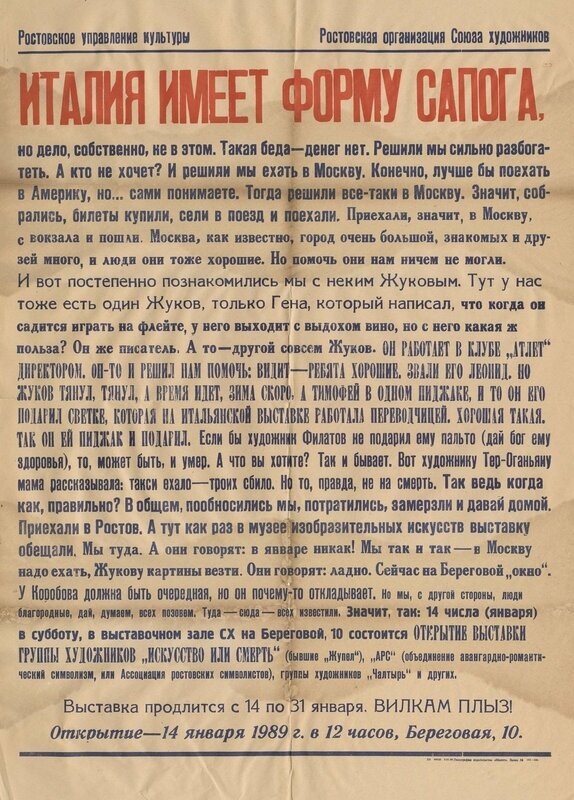 The collection contains a selection of photos, scans and slides of articles on art, literature and philosophy from Russian newspapers of the 1900–1920s. Elena Selina started gathering materials in the Moscow libraries in the 1990s, with the help of Sergey Dundin, Tatyana Ivanova, Sasha Obukhova, and Sergei Khripun. 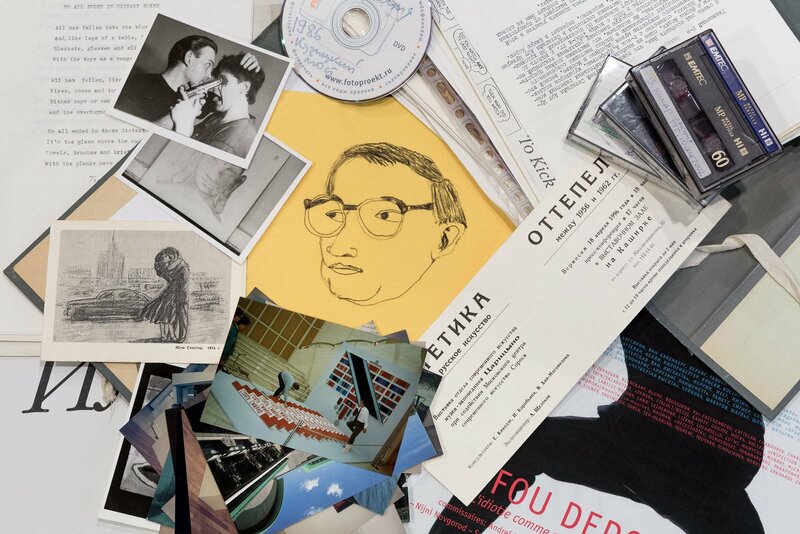 The archive was digitized with the support of the Soros Center for Contemporary Art, and was later acquired by Garage in 2012. Based on the archive, Sasha Obukhova has produced a detailed timeline of Russian art in the years 1907–1917. Copies of 1910s and 1920s periodicals. 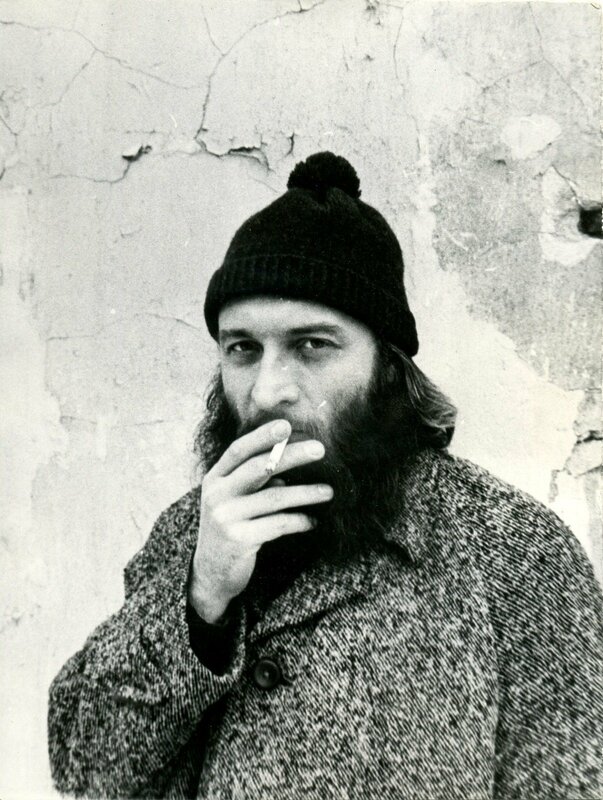 Igor Makarevich is a Russian artist of the Moscow Conceptual School, a member of Collective Actions group, and an active participant of underground artistic life in the 1970s. 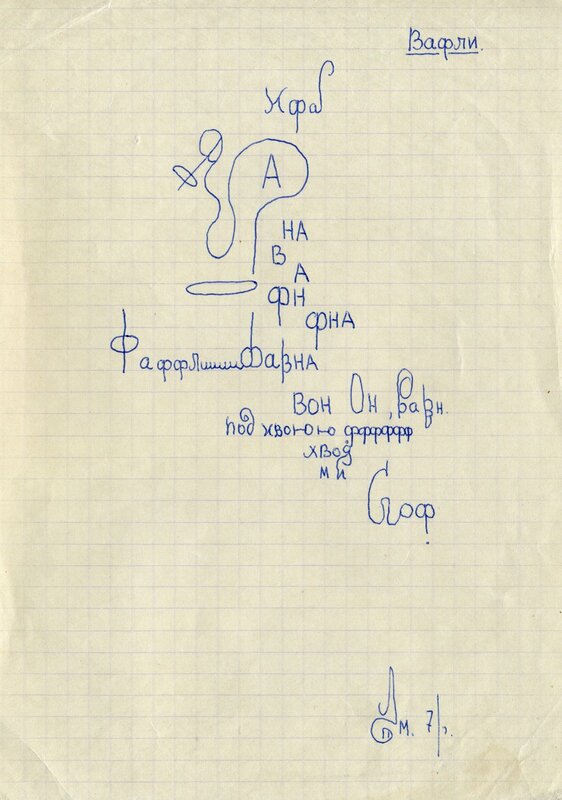 In the years he was active on the art scene, Makarevich collected and preserved unique manuscripts by poets and writers from the period when the Moscow conceptual circle was being formed, as well as some rare video footage. 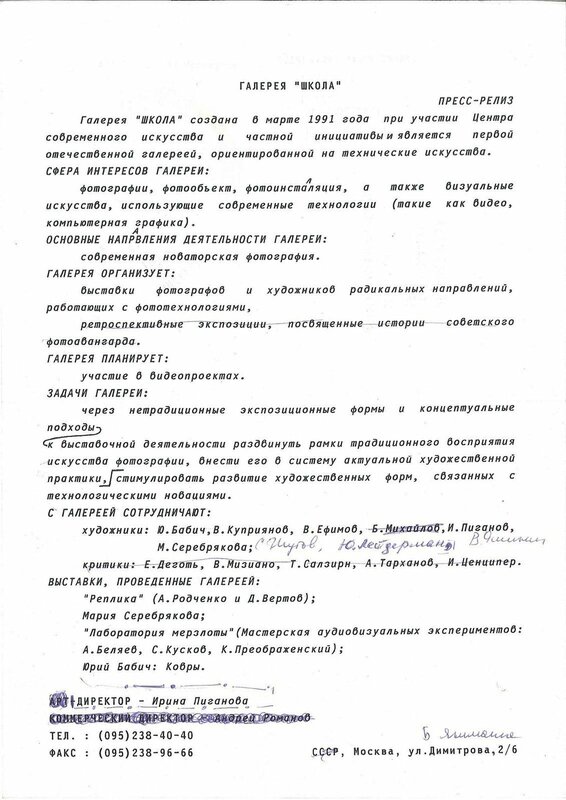 Along with rare documents with signatures from well-known artists (including Genrikh Sapgir, Dmitri Prigov, Lev Rubinstein, Andrey Monastyrsky, and others), the archive includes a copy of the samizdat album Through the Studios, compiled and given a limited-edition publication run in 1982 by artists Vadim Zakharov and George Kiesewalter. 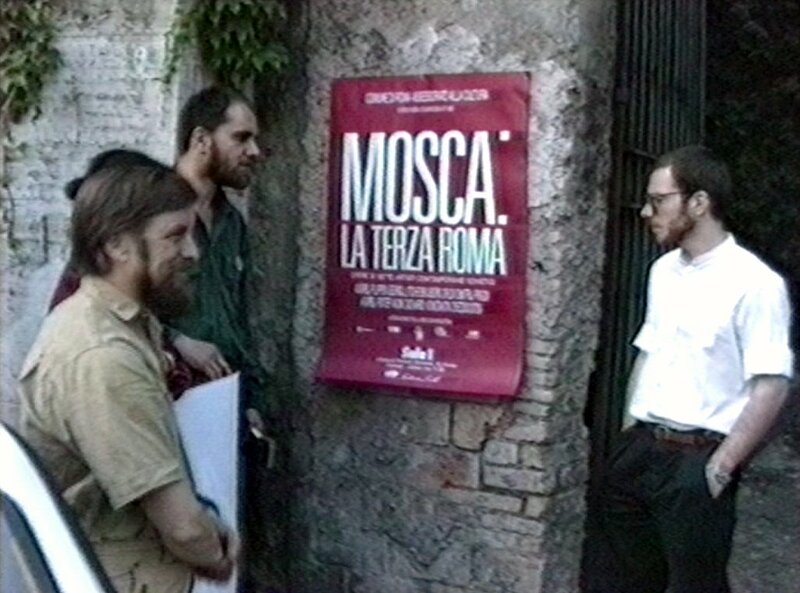 The archive also contains over 30 documentary videos of Moscow artists’ exhibitions and events in Russia, Germany, France, and the United States in the late 1980s through to the early 1990s. 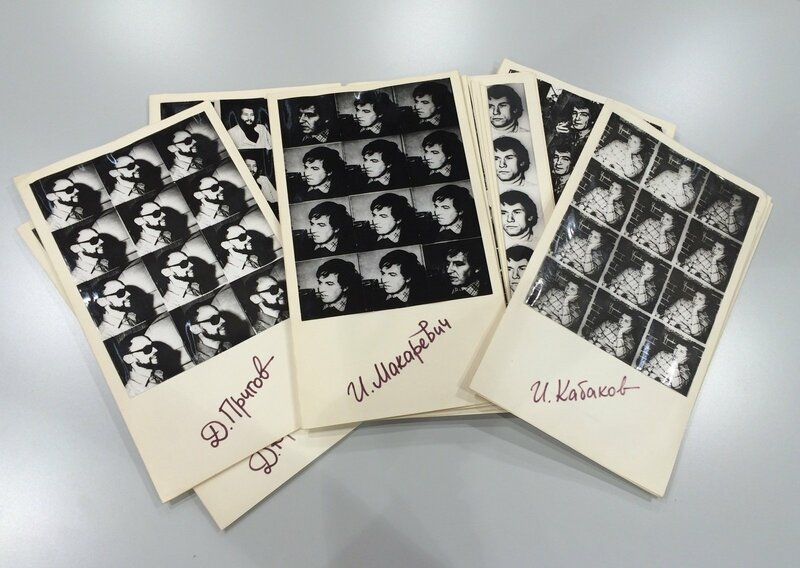 In the nearest future Garage is planning to add Igor Makarevich’s photo archive to its collection. 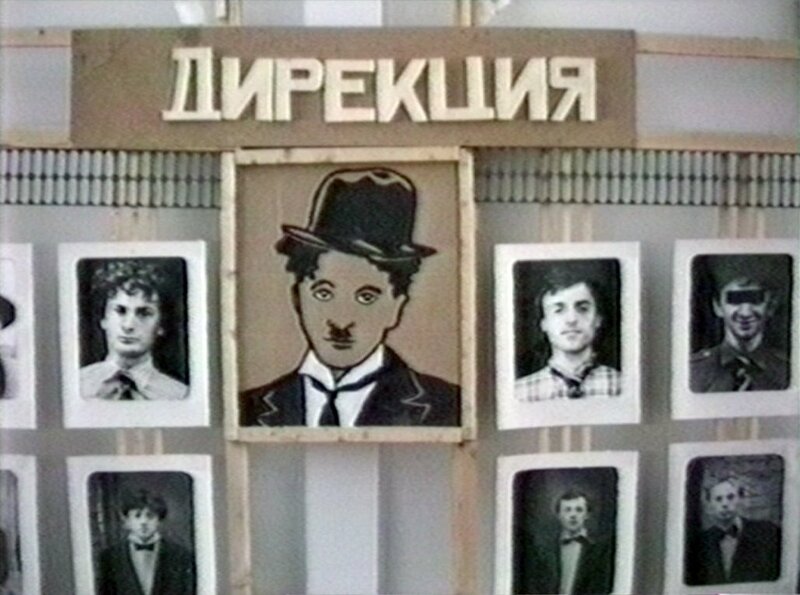 Artist Vadim Zakharov’s video archive offers a unique overview of the Moscow Conceptualists. It includes documentation of over 228 solo and group exhibitions that took place in Russia and abroad in cities such as Paris, Cologne, New York, Rome, Milan, and Berlin from 1989 to 2014. The archive offers an unprecedented, nuanced, and singular view of an era when exhibition-making became the central lens through which artists could communicate with an audience. 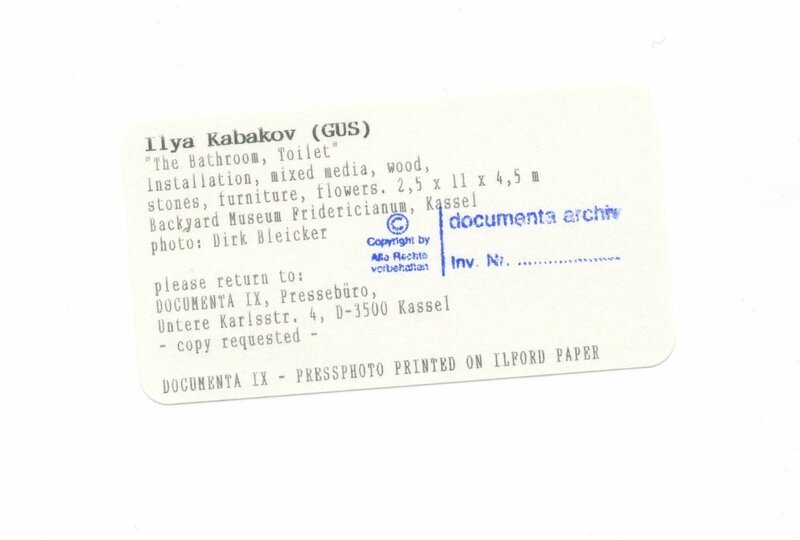 The collection contains evidence of seminal projects featuring renowned artists such as Yuri Albert, Ilya Kabakov, Yuri Leiderman, Andrei Monastyrsky, Pavel Pepperstein, Viktor Pivovarov, and Dmitri Prigov, among many others, including artists who are now otherwise lost to history. Vadim Zakharov was born in Dushanbe, now Tajikistan, in 1959. He graduated from the Moscow State V. I. Lenin Pedagogical Institute in 1982. 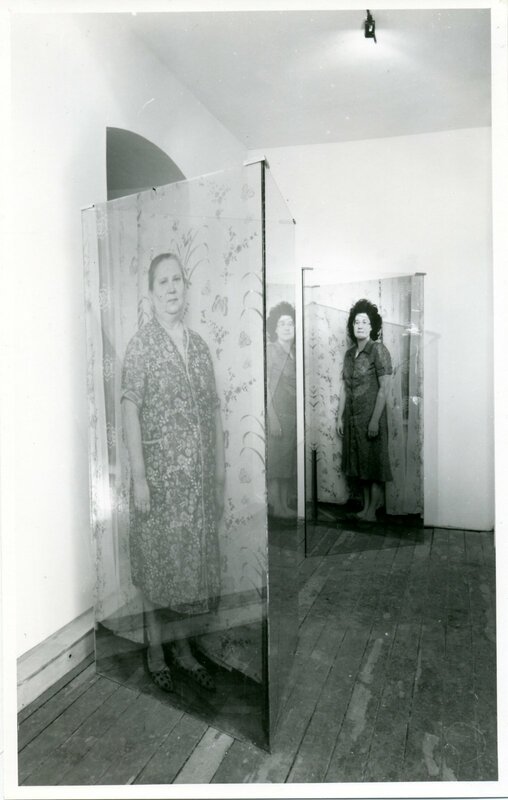 Zakharov regularly exhibited at APTART Gallery from 1982 to 1984. 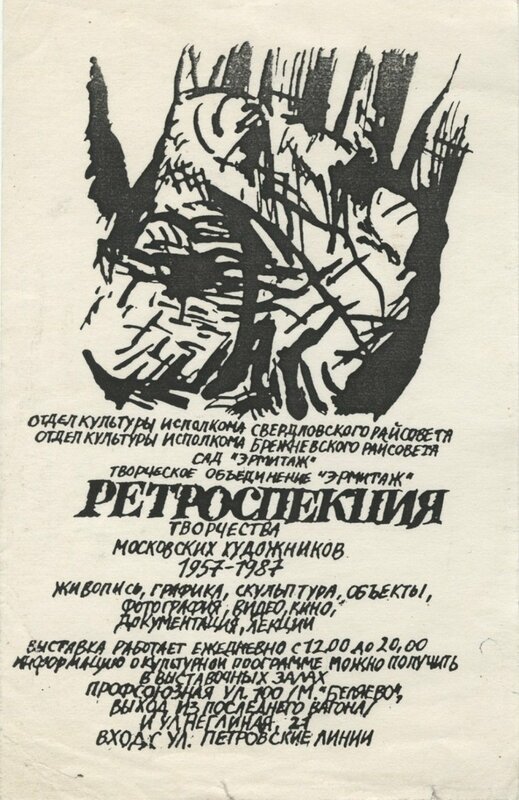 In the early 1980s, he took part in compiling the MANI (Moscow Archive of New Art) folders, and started his own collection and archive. 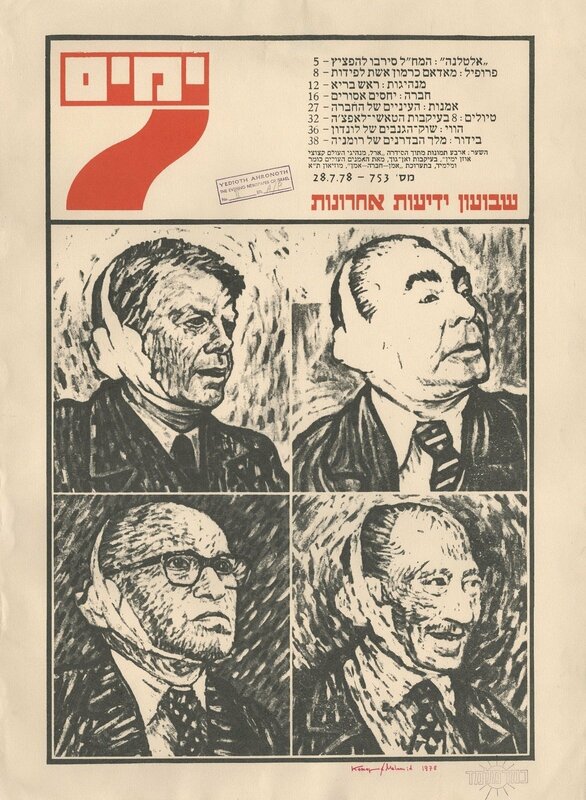 In 1989, Zakharov moved to Germany and founded Pastor Zond Editions, which published the journal Pastor from 1992 to 2001. Zakharov is a recipient of the Innovation Prize (2006) and the Kandinsky Prize (2009), and he represented Russia at the Venice Biennale in 2013. He divides his time between Berlin, Cologne, and Moscow. 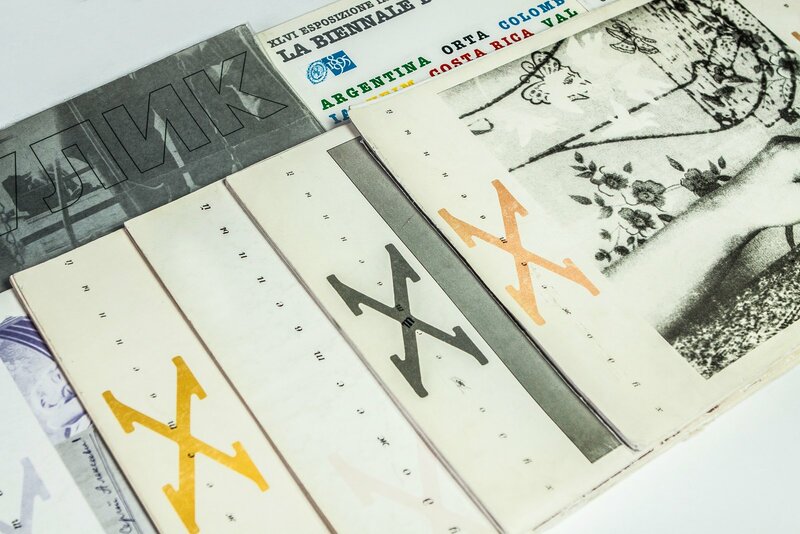 Part of the journal’s archive has been transferred to Garage’s Media Archive: booklets and catalogues published by XL Gallery in the 1990s, a vast collection of catalogues and booklets of Oleg Kulik’s exhibitions, Dar Gallery booklets, as well as recordings and ephemera left after the exhibitions of Dmitri Prigov, Oleg Kulik, Andrei Monastyrsky, Anatoly Osmolovsky, Tatyana Hengstler, Dmitry Gutov, Tatyana Liberman, Vladimir Dubossarsky, Alexander Vinogradov and Nikita Alexeev among others. 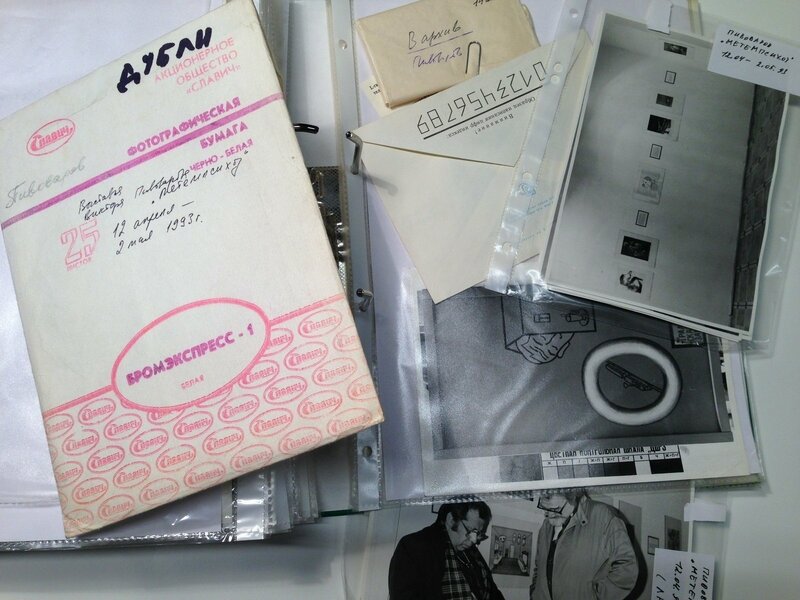 The archive of Moscow Art Magazine also contains a vast collection of documents on Viktor Misiano’s own curating projects, including his work at the Center for Contemporary Art in Yakimanka, the 1995 and 2003 projects for the Russian Pavilion at the Venice Biennale and the conference The Big Project for Russia (2004), which later developed into the Moscow Biennale of Contemporary Art. The journal’s media archive contains video and audio documentation of exhibitions and events spanning the period from the 1980s to the 2000s. These include videos with Sergey Kuryokhin, Collective Actions, Radek, Elena Kovylina, Anatoly Osmolovsky, Vadim Fishkin, Dmitry Gutov and Evgeny Asse, audio interviews with Boris Groys, Leonid Talochkin, Andrei Kovalev, Ekaterina Degot, Konstantin Zvezdochetov, Yuri Leiderman, Yuri Avvakumov, Lev Yevzovich and Leonid Sokov, as well as audio documentation of The Big Project for Russia symposium. The journal of contemporary art for the professional community published since 1993. The chief editor is Viktor Misiano, a renowned curator, awarded an Honorary Doctorate from the Helsinki University for Art and Design. 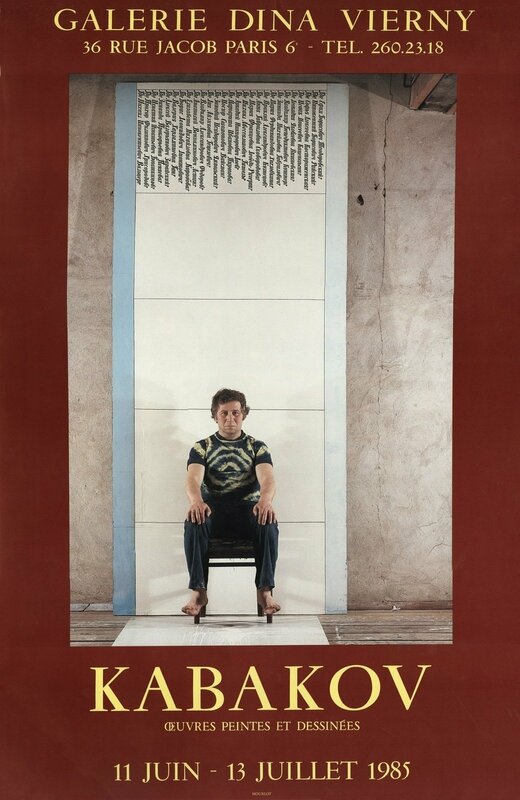 A major platform for art criticism in post-perestroika Russia, the journal has published artist manifestos and essays by some of the key figures of the 1990s art scene, such as Alexander Brener, Anatoly Osmolovsky, Alyona Martynova and Giya Rigvava—as well as the first Russian translations of some of the key philosophical texts and theoretical writings on contemporary art by authors such as Rosalind Krauss, Germano Celant and Nicolas Bourriaud among others. Ludmila Bredikhina, Irina Kulik, Ekaterina Degot, Andrey Kovalev and Evgenia Kikodze were among the main contributors to the debate on some of the key issues of contemporary art that unfolded on its pages. 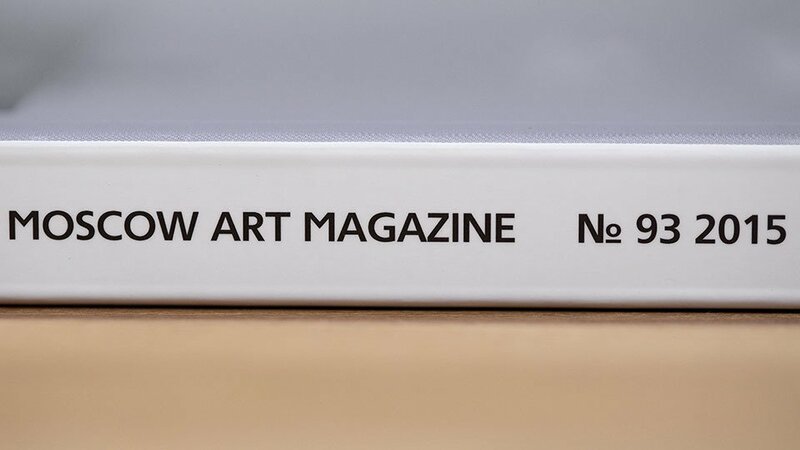 Since its beginnings, Moscow Art Magazine has remained the only Russian periodical entirely devoted to the theory and philosophy of contemporary art. 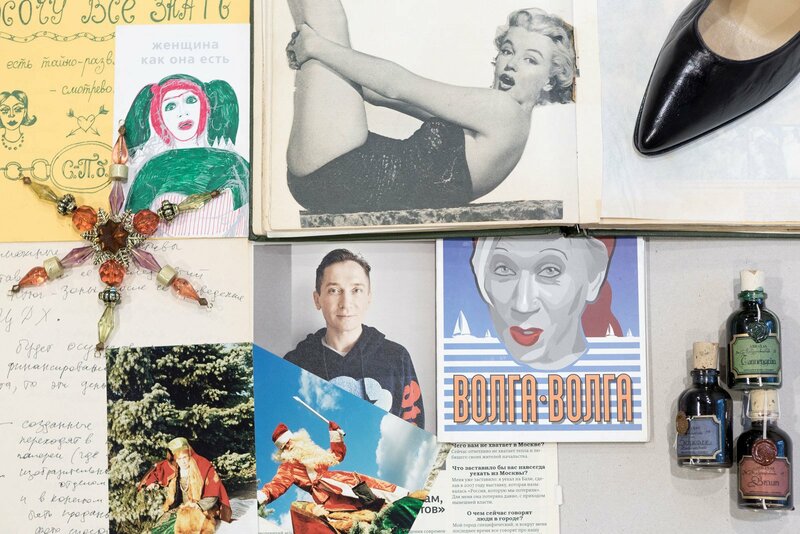 Russian Art Archive NetworkAn international online platform, initiated by Garage Museum of Contemporary Art, bringing together archives on Russian art from the postwar period to the present.